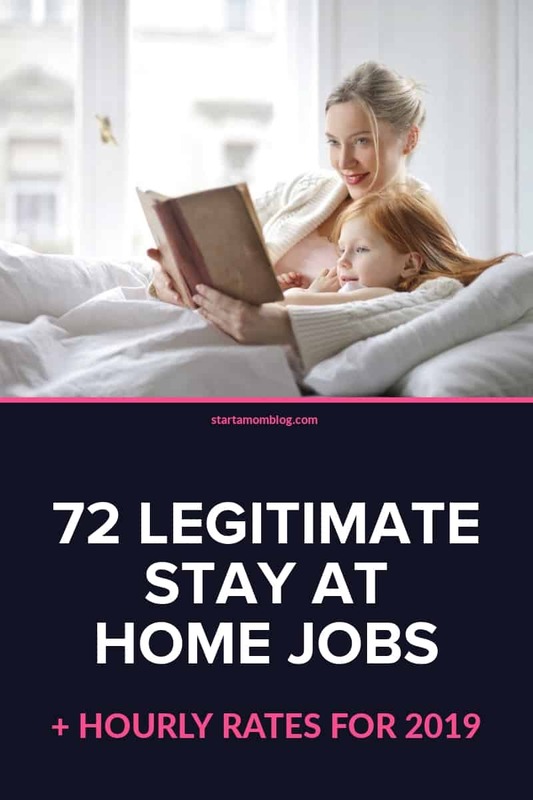 This in-depth guide will show you over the 30+ best stay at home jobs for moms or anyone who wants to work from home. I’ll share with you the crazy stay at home jobs I’ve tried and which jobs were successful and which ones were terrible. I’ll even share with you how I’ve been able to stay at home and make 5X my previous engineering salary. The extremely helpful post also includes hourly rates for each stay at home job. 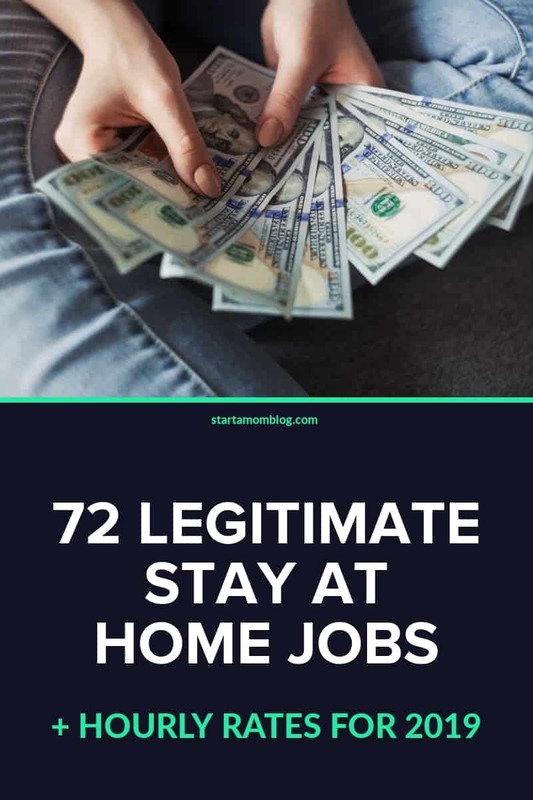 The jobs below are legitimate ways to stay at home and make money. They have either been tried by me or by a close friend or family member. Want to find the best stay at home job for you? This guide is your answer! When I first became a mom I prayed to be able to stay at home with my little ones. Even though I studied for years to become and Industrial Engineer, and worked for amazing companies such as Walt Disney World and General Electric, I knew deep down, that my mommy heart wanted to be home with my kids. But what I didn’t know at the time when my first was born, that I would miss my job too. I would miss the ability to bring in an income and knew my husband was under a lot of pressure to provide for us. I was torn. I loved being a mom, but I also missed a sense of self. So I tried all kinds of stay at home jobs. Some were more successful than others, and some were complete disasters. I finally found the best stay at home jobs for moms, and I fell inlove with it so much that I helped other moms achieve it too! Many of my students are making $1,000+ per month from home with some rockstars breaking $20,000 per month! Wow! But more on that later! Here are a few of the jobs I tried while being home as a mom. Teaching English over Skype – $25 per hour. Walking dogs – $5 per walk. Selling stock images – $19 per package. Make printables – $9 per printable. Sell items on Ebay/Craigslist – $10 to $100 per item. Written and sold ebooks – $7 per ebook. Launching courses – $9 to $97 per course. We are so blessed to live in a time when almost the entire world is connected via the internet. You can create something amazing, and someone on the other side of the world can buy it from you! As you read through this list, there will be many online jobs for stay at home moms. So while baby sleeps or the kids are at school, you can build your business from home! And don’t worry, many of these ideas are great stay at home dad jobs too! My husband is now a stay at home dad – well, we’re both stay at home / work from home parents. And it’s ah-mazing! If your dream is just to make a little bit of money from home, or to retire your husband completely, read on, because if I can do it, you can too! If you fall in love with any of the work from home jobs below, you can easily turn it into a full time six figure business. I did it while raising three little kids – and you can too! It sounds silly, but all you need is dedication. That sole pursuit of your ultimate goal, that laser focus, that daily dedication – that’s they real key to success! Let’s get into the money-making list of stay at home jobs for moms (and dads too). Blogging is flexible, easy and can generate income exponentially. There are mom bloggers making over $1,000 per month within a year, and some rock stars breaking $10,000+ per month. Blogging is also a great way to brush up your writing, photography or video skills. Not only is a great creative outlet, it can become a real business too. That’s what happened to me. After three years I was able to pay off the mortgage and retire my husband from his corporate job.  Below is the plan I followed to start making a full time income from blogging. Download it for free! Interested in learning more about this? 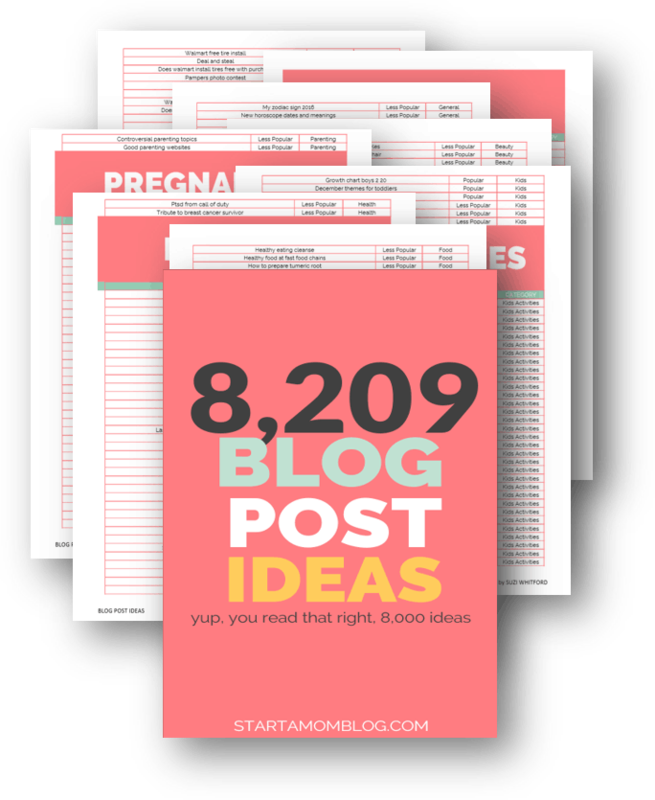 Read all about how to start a mom blog here. 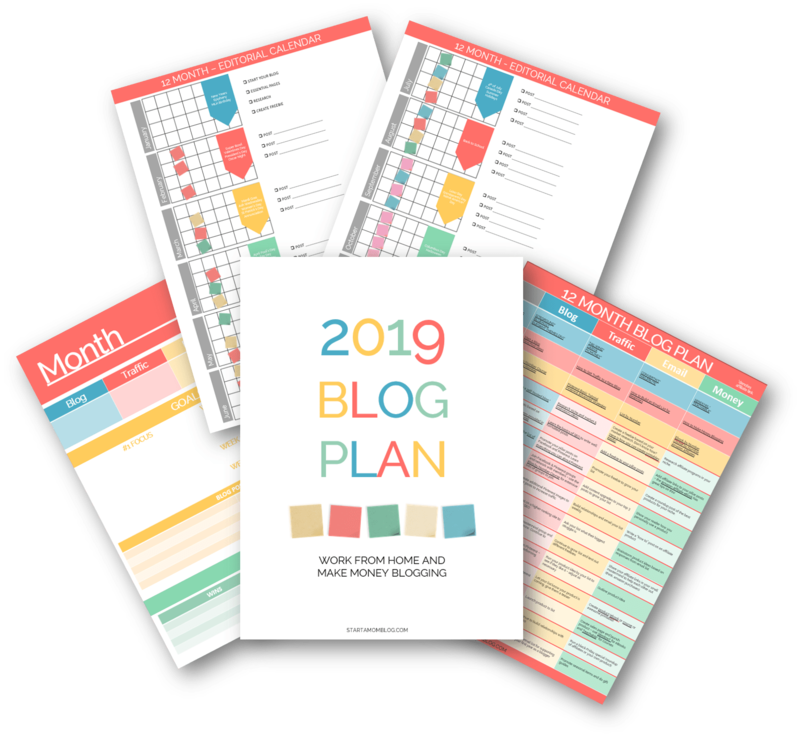 Love to write but don’t really want to manage your own blog? Why don’t you ghost write for large companies or big bloggers? All websites need new and fresh content. And if you know how to write, people would love to pay you for your words! Kon Mari any one? Have you binged watched the shows on Netflix? Aren’t they amazing?! If you’re a super star at organizing, decluttering and minimizing – people NEED you! You can do a virtual tour with a client and help them organize their messy pantry, cluttered garage or overflowing closet. If Kon Mari is so huge, just imagine the demand from real people needing personal help. Do you like to write? Why not create your own ebooks? Amazon already has an enormous customer base that you can tap into. If you get a few great reviews, your book can do really well selling on Amazon. Are you a creative planner? Can you organize things visually? You could make a fantastic printable creator! It’s easy to use programs such as PicMonkey or Canva to create gorgeous printables. You can also use them to grow your email list as well if you’re a blogger. Do you love to teach? Do you have a skill you want to share with the world? You can reach millions of people and change thousands of lives through online courses. They are easier than ever to create with platforms such as Teachable. Are you crafty? Do you know how to throw a Pinterest party with things you DIYed from your craft drawer? What about selling those amazing unicorn charms or woodland creature paintings on Etsy? This is legitimate. You can really stay at home and make money by taking surveys. It is really possible. I have heard amazing things from SurveyJunkie. But if you have any issues with them, send me an email directly! This won’t make you a millionare, but it definitely can cover your monthly grocery bill! Look out Whole Foods, I’m coming for you! You already have one or two or more little ones around you all day long. Why not invite some friends over and run a in home daycare? My sister personally did this when her children were little, and it worked out really well. There are lots of tax deductions you can claim by running a business fro home. MultiLevel Marketing, or MLM, also known as direct sales – is a legitimate stay at home job. You can sign up with any MLM company such as Cabi Clothes, Mary Kay Makeup or BeatyCounter and have a business model ready to go. It’s a great way to get free products from a company you already use and love, and help others at the same time. My cousin run a full time business as a stay at home mom selling Mary Kay Makeup. You can work at home in direct sales as part of your money making ideas. Fiverr is a marketplace of services. You can do little and big jobs from home and get clients easily using Fiverr. Are you great at creating printables, designing infographics, making logos or proofreading posts? Any one of these can be a great gig on Fiverr. Just browse the website to get a huge list of jobs you can do as a stay at home mom. Are you good at spotting a grammatical mistake? Know when to use their vs they are? Maybe becoming a proofreader is just your thing! You can build a 6 figure business from doing this – even from home! My good friends Melissa and Rob have made over $100,000 while flipping things from amazing flea market finds. Wow! And they have three little kids – so goodness – if they can find the time to become successful flea market flippers, you can too! Love puppies and dogs and all things furry? I did this and made $5 per walk. You can easily make a few hundred per month from walking dogs around your neighborhood. And the exercise and fresh air is a great bonus! Free what? Freelancing is when you find jobs to do for clients. Imagine writing blog posts for a big website, or creating inforgraphics for a lifestyle influencer, or editing videos for Facebook ads. In a few years from now, there are estimates that over 50% of the American workforce will be a part of the Gig economy. This could fall into a category of Virtual Assistance, but every website needs image to promote their content. If you love creating graphics, images or have an eye or graphic design, then you can easily make a full time income as a social media image creator. Go here if you want the shortcut to learn how to do this – quickly! Also known as retail arbitrage, fulfilled by amazon is when you purchase something at the store for a cheap price, and resell it on Amazon for a profit. There are successful FBA-ers that make millions per year. It does take a bit of luck and skill to find cheap items, but very possible to make this your full time stay at home job. Are you an art teacher? Can you paint and draw and sketch? People will line up to learn from you! You can showcase your skills through YouTube videos and >sell more advanced techniques through online courses. What a fun stay at home job! The internet is so full of possibilities. With VIPKid you can teach English online, pick your own hours, and make up to $22 per hour! With over 500,000 students, there is someone you can help! They are also ranked #1 by FlexJobs. It’s definitely a great option. Nope, I’m not making this up. People do pay for life coaches. And why wouldn’t you? If you pay for a fitness coach or health coach, your life even more important. If you can help others manage their life, you can become a life coach. Trust me, there are even mom life coaches! Love that! Bloggers, influencers and large companies need beautiful stock images to use in their marketing campaigns. If you’re great with a camera, why not take and sell stock images? It is a fun and lucrative stay at home job you can do – and bonus – it’s super flexible with little inventory! Are you a natural parent? Do you cuddle and co-sleep and carry your baby all day? Do you have tips and advice you can share with other parents to help them become natural parents? My friend Tracy sells natural parenting books and courses through her website. Haven’t found the perfect home job for you? Here is a list of 50 ideas to make money from home as a stay at home mom! You will most definitely find the perfect stay at home job for you through these too in depth posts. The list above gives you legitimate jobs you can do from home. Some of the jobs can bring in a few hundred dollars per month and pay for a nice mani or pedi. And some of the job ideas above can make you a millionaire. Hint hint… If you want to know if I’m in that class, just shoot me an email 😉 And it was all due to starting a blog as my stay at home job. The internet is an amazing tool. Don’t sit on the sidelines while others take advantage of this amazing time we live in. You can help people around the world, all from the comfort of your home. Golly, we live in a blessed time! Do you want to find the best stay at home job? Go through the list again above and see where your skills fit. Are you a great writer, then blogging, ghostwriting or book creation could be in your future. Are you good with little ones, then maybe consider an in-home daycare? Whatever your skill set is, there is a virtual job you can do from home. And if you don’t have the skills yet, take one of my blogging courses or teach yourself using YouTube. You can definitely do this! Leave a comment below and let me know what type of stay at home job you want to do!